Holidays for Jeremy Benson are not typical of your average university student – he doesn’t lounge around the house and he doesn’t backpack South East Asia. Nominated for a Tasmanian Young Achiever Award, Mr Benson spends his holidays tirelessly volunteering with Ambulance Tasmania in Wynyard. 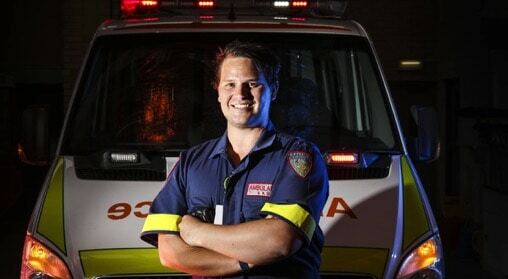 At 27-years-old, the third year paramedic student has embarked on a long journey to be where he is today. Mr Benson has been nominated for the Heather and Christopher Chong Community Service and Volunteering Award. Humbled by his nomination, Mr Benson said there are many good volunteers who “do just as much” as he and are “equally deserving of recognition”. Click on the link below to view the full store.